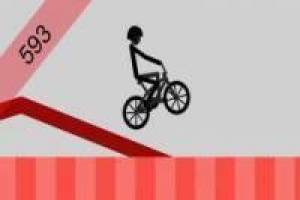 Show your skill with the bike with the fantastic game Weelie Challenge, a game in which you will have to get as far as possible by lifting the front wheel of your bike. The mechanics are simple but at the time of executing it it is more complicated. Use the left button of your mouse to start lifting the front wheel of the bike and hold the position without dropping it, or falling on your back. If any of this happens you will lose and you will have to start over but you will have established your own record. 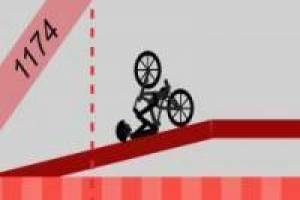 Try to overcome it in the following attempts and take the best position to keep the bike up. Challenge your friends to score higher than yours and see who beats the Wheelie Challenge. 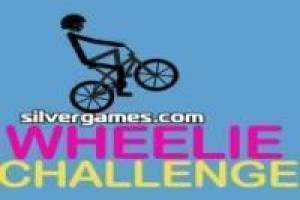 Enjoy the game Wheelie Challenge, it's free, it's one of our bikes games we've selected.